This week in London (Dec. 3 and 4), the US and other donor nations face a choice. Will they walk away from the challenges in Afghanistan? Or will they recommit to helping the country and its new president address persistent human rights problems that will plague the country's future, even if the security situation stabilizes? Many in the United States are ready for the US to get out of Afghanistan: 13 years have passed since the Taliban was ousted from Kabul and yet insurgency and lawlessness persist. The US has spent over $700 billion in military and development aid in Afghanistan since 2001. But much of the fault for the county's continuing challenges lies not only with the Afghan government but also with US officials who repeatedly sacrificed long-term stability for short-term military aims. The US should not turn away from its obligations to the Afghan people, and the most important way to do that is to focus on justice and human rights protections. This will help protect Afghans and make Afghanistan more stable and less prone to the influence of nefarious actors. Let us not forget that the reason behind US involvement in Afghanistan was that the country had become a haven for Al-Qaeda. A new report by the Senate Foreign Relations Committee's Democratic Party staff urges conditioning continued assistance to Afghanistan on key reforms for better rights protections. This is a good recommendation. Although the bulk of the US military mission has ended, the US is still expected to appropriate billions of dollars over the next several years to Afghanistan. 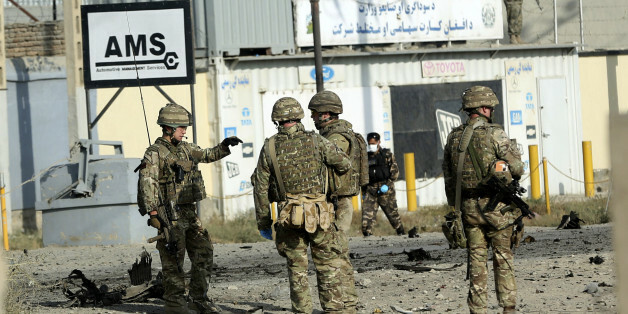 To ensure that those taxpayer dollars are well-spent, the US should not leave London without obtaining firm commitments from the new Afghan government to take steps to implement existing reforms, develop key benchmarks to assess progress, and press forward with new ones. In a recent letter to foreign ministers attending the London conference, Human Rights Watch outlined several areas where human rights risk falling by the wayside. Key among them are for the new Afghan government of President Ashraf Ghani and Chief Executive Officer Abdullah Abdullah, to seek accountability for security force abuses and protect and promote the rights of women and girls. To further these goals -- and protect their investments -- donor nations, including the US, should support the development of a new, independent monitoring and reporting mechanism that can assess Afghanistan's developments in key areas where reform is needed. Public reporting, coupled with clear recommendations to both the Afghan government and donor nations, would allow donor nations to hold the Afghan government, and their own, to account. During the election campaign, Ghani pledged to prosecute members of the Afghan security forces responsible for torture and other human rights violations. The United Nations Assistance Mission in Afghanistan has already published reports that show new instances of torture and enforced disappearances by the security forces and that not a single member of the Afghan security forces has been prosecuted for such abuses. Donor countries should ensure that commitments to Afghanistan's security forces include holding accountable Afghan security force personnel implicated in serious human rights violations -- including those with command responsibility over abusive forces. Donors should support the creation of a civilian complaints mechanism to allow victims to report abuse by all Afghan security forces and encourage a comprehensive and consistent response. The leaders of irregular armed groups should also be held accountable for abuses. Another hallmark of progress in Afghanistan concerns the rights of women and girls. It is heartening that both Ghani and Abdullah have signaled their support for key reforms, including enforcing the Elimination of Violence Against Women (EVAW) Law; supporting women's shelters; increasing the number of women in security forces, judicial and legal posts and civil service; and implementation of a plan to include women in peace-building in accordance with United Nations Security Council Resolution 1325. These are important pledges, and the US should press Ghani and Abdullah for concrete steps to achieve these goals. In London, the US should urge Ghani to promptly issue a decree directing police and prosecutors to fully and vigorously enforce the EVAW Law, and to speak out publicly about the importance of access to shelter for women and girls fleeing violence. Every province should have at least one of these shelters, and women and girls need to know where they are and how they can access them. And as Ghani and Abdullah make political appointments; they should be encouraged to appoint women at all levels of Afghanistan's judicial and law enforcement institutions, including the Supreme Court. US involvement in the war in Afghanistan may be coming to an end, but US commitment to improving human rights in Afghanistan should not. The London conference is an opportunity for donor nations to make real pledges, not just of dollars, but of dedication to promoting fundamental freedoms and the rule of law in Afghanistan. Afghanistan remains a troubled country, but the gains it has achieved in the last decade should not be undersold. Those gains are precarious, and without sustained efforts from donors, Afghanistan may slide back into the abyss, taking the rights of its people along with it.